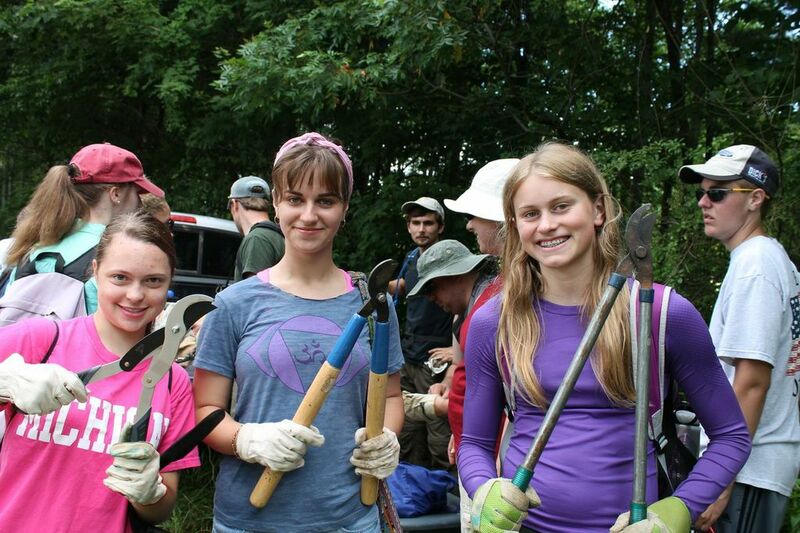 MountainTrue works to restore our forests’ native ecology. We are the leader in developing and implementing programs that combat invasive plants and insects without harming native plant communities and wildlife. 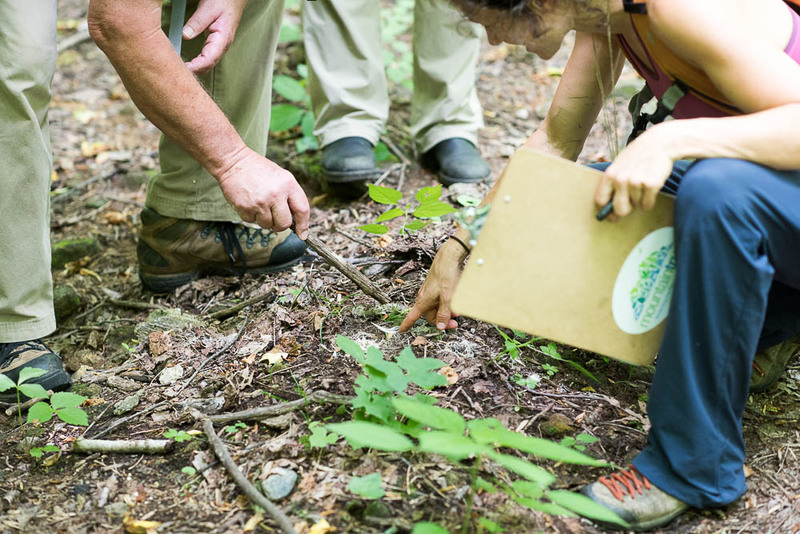 MountainTrue is the leader in developing and implementing programs that combat invasive plants and insects in the mountain counties of North Carolina. Introduced accidentally and intentionally, these invasive species escaped from developed communities and have made their way into wilderness areas. Without the predators and competitors that native plants and insects have evolved with, invasives are given the opportunity to flourish, usually at the expense of our native plant communities. MountainTrue is able to remove or kill these invasive species without harming surrounding native plant and wildlife populations. MountainTrue has spearheaded eight non-native invasive plant management initiatives since 2009 through partnerships with the U.S. Forest Service, the U.S. Fish and Wildlife Service, The Nature Conservancy, the Carolina Mountain Land Conservancy and Kanuga Conferences, Inc. Through these projects, 4 Southern Appalachian bog communities designated as Significant Natural Heritage Areas in Henderson County and 165 acres of the Nantahala National Forest encompassing the Cheoah River riparian corridor have seen a restoration of habitat with the removal of 90% to 98% of non-native invasive species. MountainTrue’s needs your help to protect our forests! We need Western North Carolinians to join the Forest Keepers to help with data collection and be watchdogs for trees both on park land and within our cities. If you are interested in being a Forest Keeper, click the button below. MountainTrue is at the cutting edge in the battle to combat invasive species. We’ve been able to clear habitats of non-native plants, creating the space for our local species to take hold and flourish again. It’s incredibly satisfying work. Since 2002, MountainTrue has been working to restore native plants to Western North Carolina habitats through non-native invasive plant (NNIP) control projects on public lands and conservation easements. We have developed effective and adaptive control techniques for treating the invasive species most common in our mountain communities. restore native plant species if little or no natural seed bank is present. MountainTrue has achieved 90%-98% removal of non-native invasive plant species on NNIP control projects due to our unique approach. 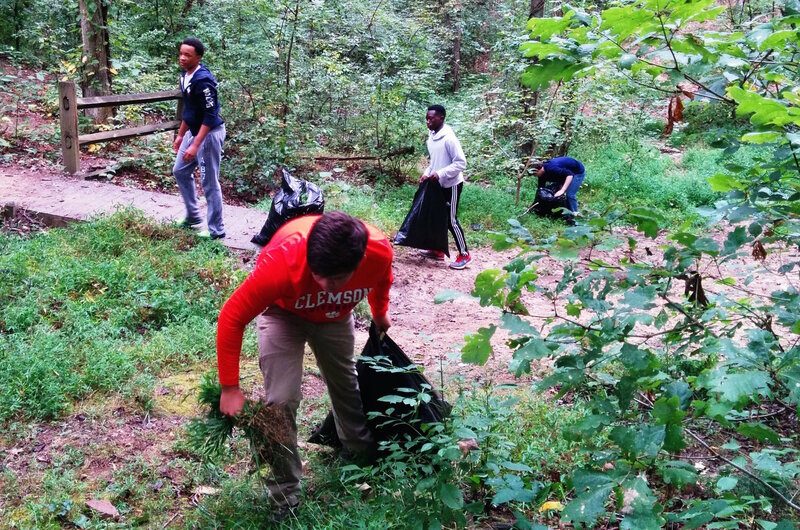 With the removal of non-native invasive plants from the understory layer of natural forest canopies, native plants that have lain dormant in the soil are able to spring up and reclaim their former growing space to reestablish a healthy natural habitat. Biological: Natural control through insects and fungi are rare for most species in the Southern Appalachian Mountains, however, herbivory control by goats and other grazing/browsing livestock are extremely effective for removing initial dense areas of non-native biomass. Manual: Pulling plants and their root systems from the soil by hand is useful for certain grasses, herbs and many woody-stemmed sprouts. Mechanical: Includes pruning with hand pruners, loppers, hand saws, brushcutters or chainsaws, mowing with lawn mower or weed whacker, digging or prying roots from soil with a weed wrench, shovel, Pulaski, rototiller or heavy equipment. With this method, roots generally need to be excavated to prevent re-sprouting of invasive plants. or cut stump/”cut and paint” treatment – pruning/sawing close to the ground, followed immediately by applying a chemical treatment to the stump. MountainTrue takes the utmost precautions when using control methods on non-native invasive plants, making sure to follow safety procedures for both staff and volunteers and the ecosystem of the project areas. Weather and the health of local animals and plants are thoroughly considered before any control methods are implemented as well as during the removal process. Foliar spraying is not done while plants are in bloom to prevent harm to pollinators, or while birds are observed nesting in targeted plant thickets. All herbicides used by MountainTrue have been approved by the EPA and the USDA and are specifically matched to the habitats targeted for treatment. We need your help to fight against invasive plants and insects. Volunteers can help restore native plant and insect populations by signing up for removal workdays. If you are interested in non-native invasive plant removal, click the button below or contact Susan Bean at susan@mountaintrue.org. You can make a difference in the effort to keep non-native invasive species out of our mountain communities. By keeping invasives out of your garden, you can help native species flourish in North Carolina.